Our LED Lighting kits are not like other kits. PinballBulbs led kits are designed to fully illuminate your entire game, including the dark spots that prevent your game from being played in a dark room or bar. Our kits do not simply replace every bulb with an LED. Our kits do not attempt to retain the original game look. Instead, our kits are intended to transform your machine from a dated and dull machine into a bright well-lit machine that will sit next to any new machine and look great. 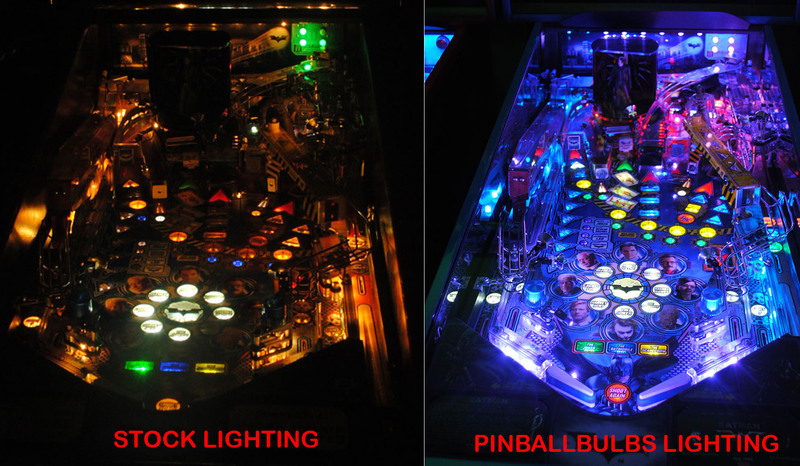 We use the highest quality pinball leds only in all our kits! All of our kits come with extras that include custom solder free light strips, spotlights, and are tested to fully illuminate your game in a darkly lit room. We do not accept user-generated kit suggestions (like many of our competitors). Each kit layout is carefully crafted and the game is play tested for a couple hours in a dark room to make sure the game is fully playable. All of our kits are non-ghosting as well since we personally make each led kit with the game in our shop using only top quality pinball leds. I am adding kits as I can get to them. If you are looking for something not yet listed, please contact us and if possible I will prioritize this. All of our kits come with extras that include custom solder free light strips, spotlights, (see some comparisons side by side) and are tested to fully illuminate your game in a darkly lit room. We do not accept user-generated kit suggestions (like many of our competitors). Each kit layout is carefully crafted and the game is play tested for a couple hours in a dark room to make sure the game is fully playable. 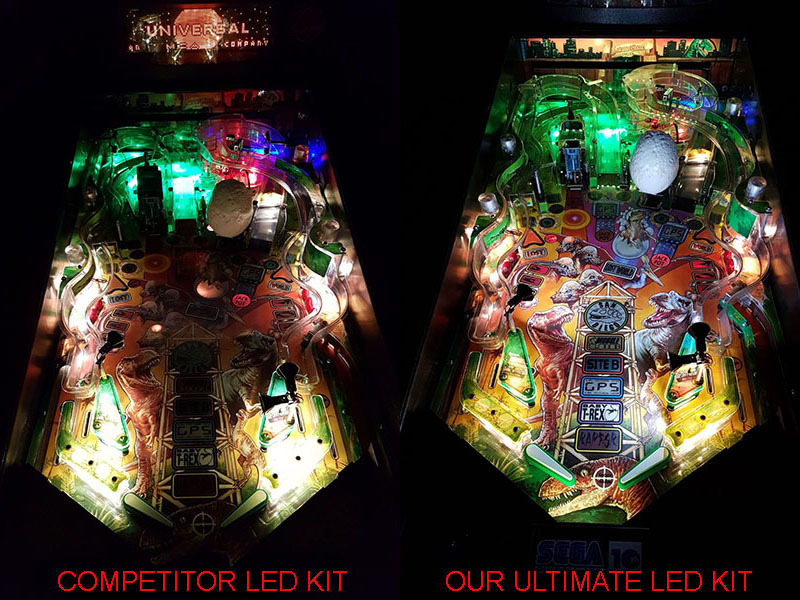 All of our kits are non-ghosting as well since we personally make each led kit with the game in our shop using only top quality pinball leds. 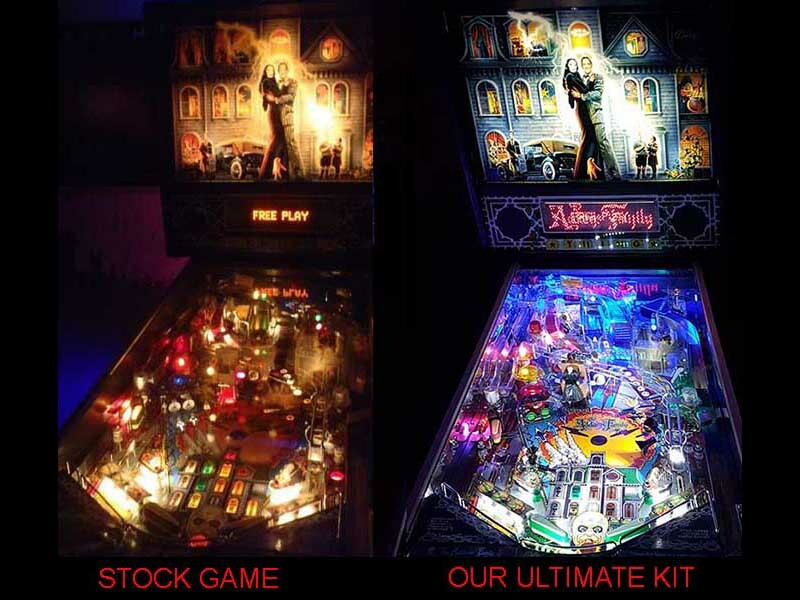 We currently carry Pinball LED kits for @total games with many more mini kits contained within each kit page!